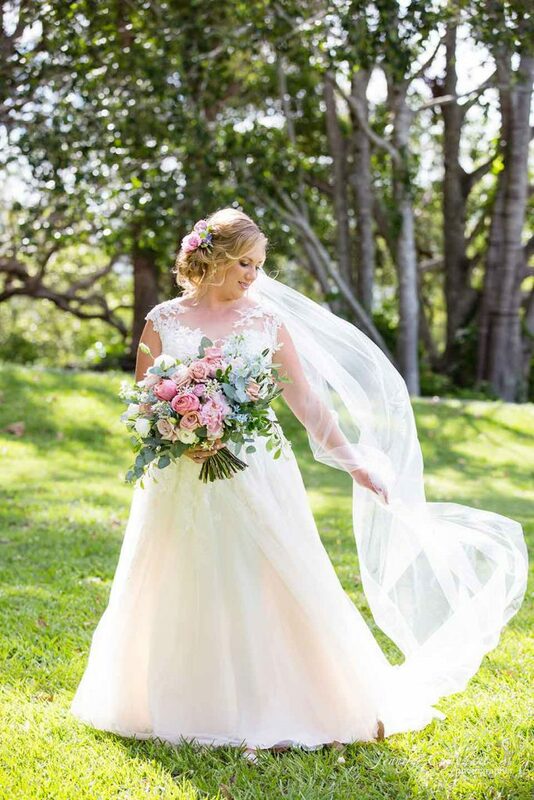 We loved creating the soft and dreamy florals for this really special Yandina Station wedding. 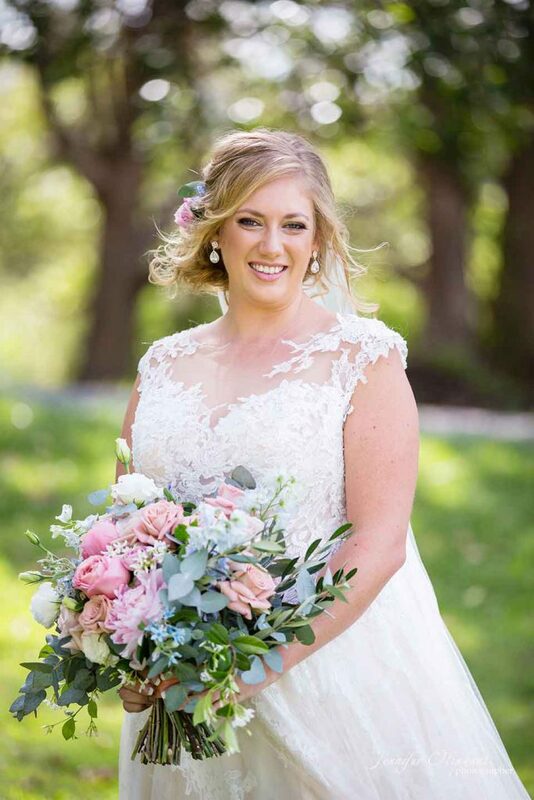 Jessica was a dream to work with and it was a really lovely experience getting to know Jess throughout the planning process. 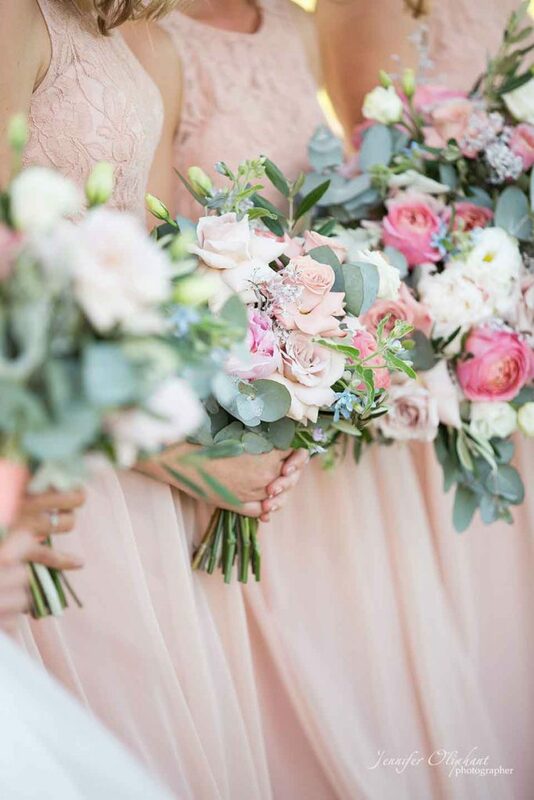 We adored this soft and sweet colour palette of dusty pink, silvery grey, sky blue blush, white with a pop of salmon. 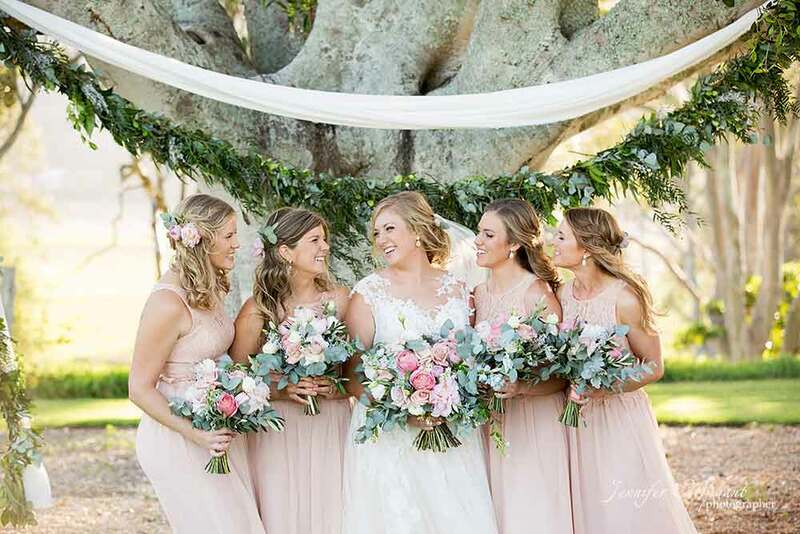 It was refreshing to add in the soft greys and blues to the ‘usual’ pink/ white combo, I really do think that it adds an extra layer to the overall design and really softened the rustic interiors of Yandina Station. 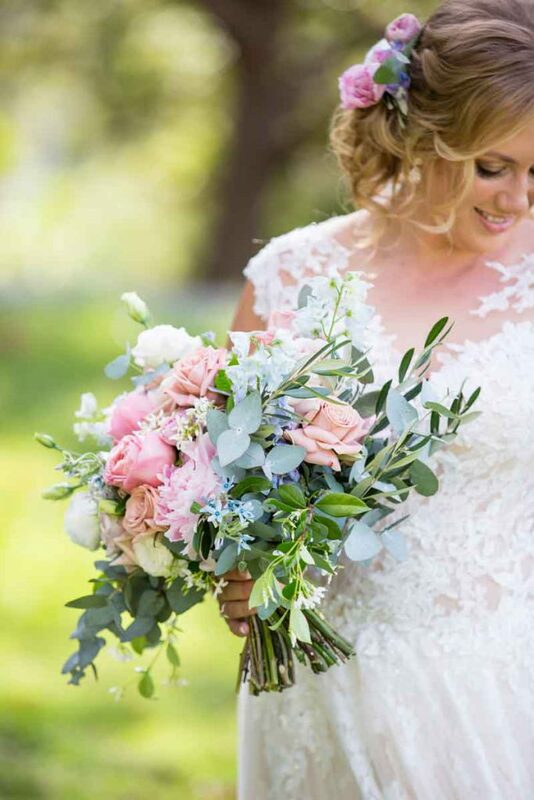 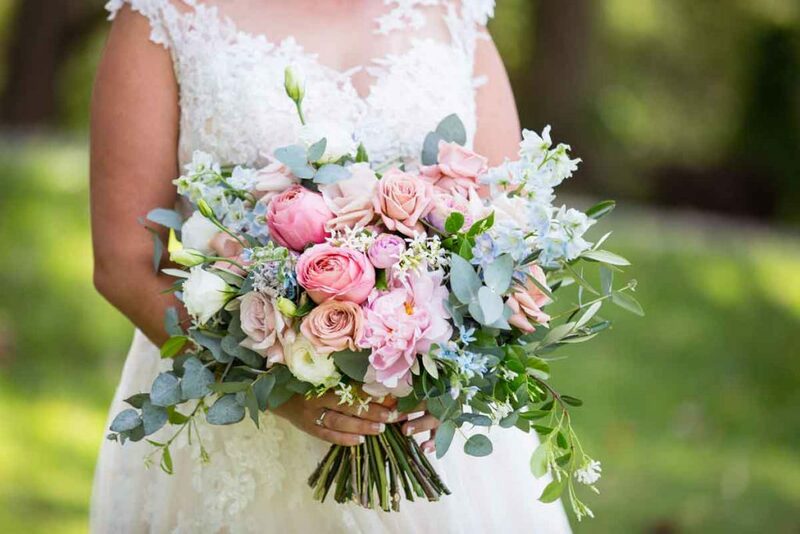 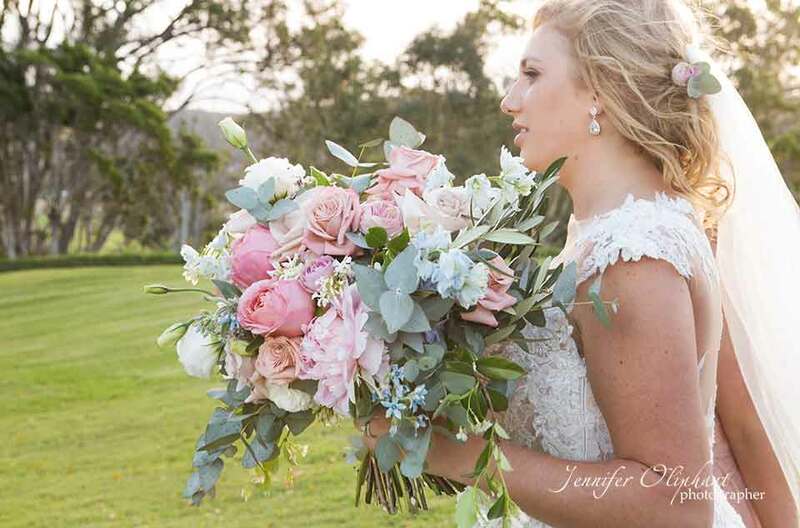 Jess’s bouquet was oversized, soft romantic and oh so pretty! 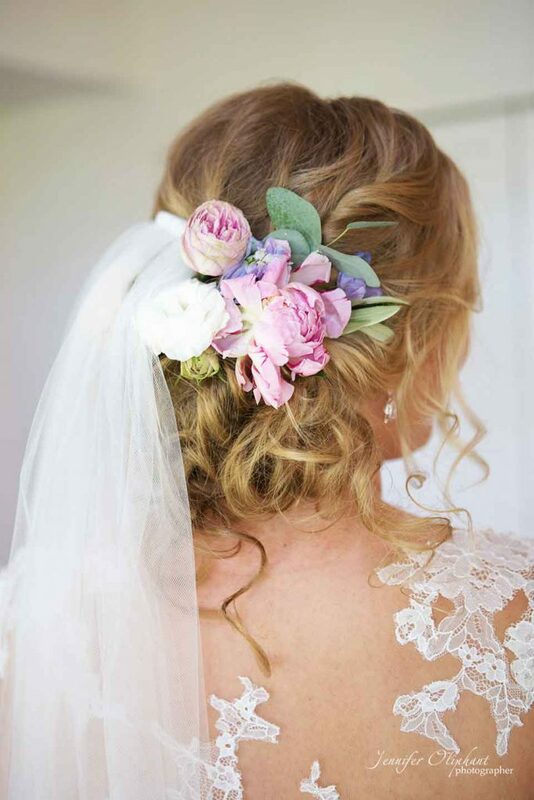 It set the scene of the floral details throughout the wedding. 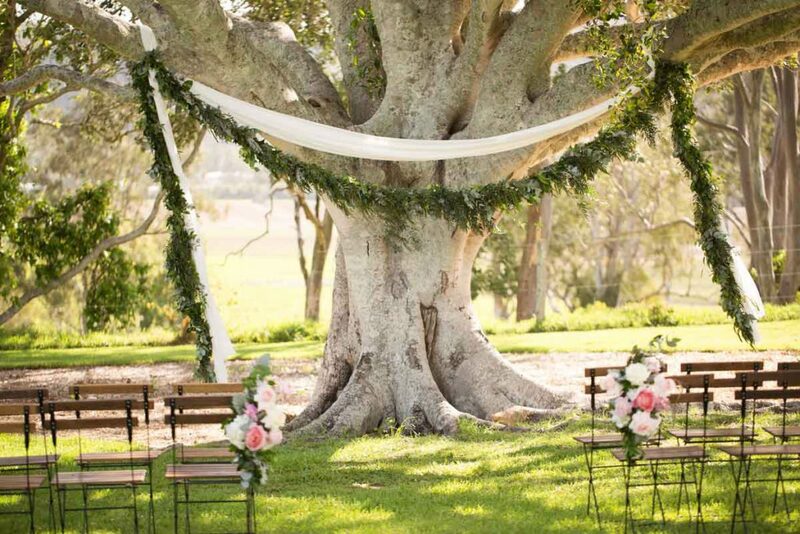 For the ceremony space, an 8-meter garland draped across the fig tree branches with draping fabric, we kept the ceremony simple to pay respect to the beauty of the tree. 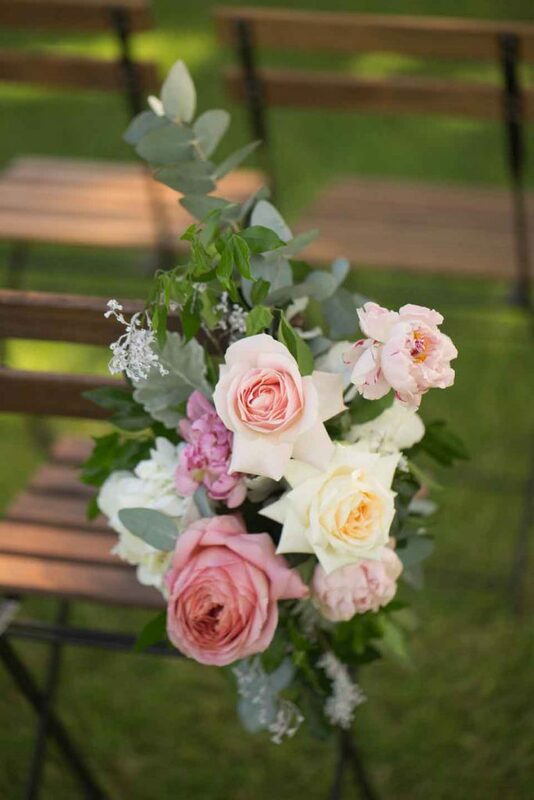 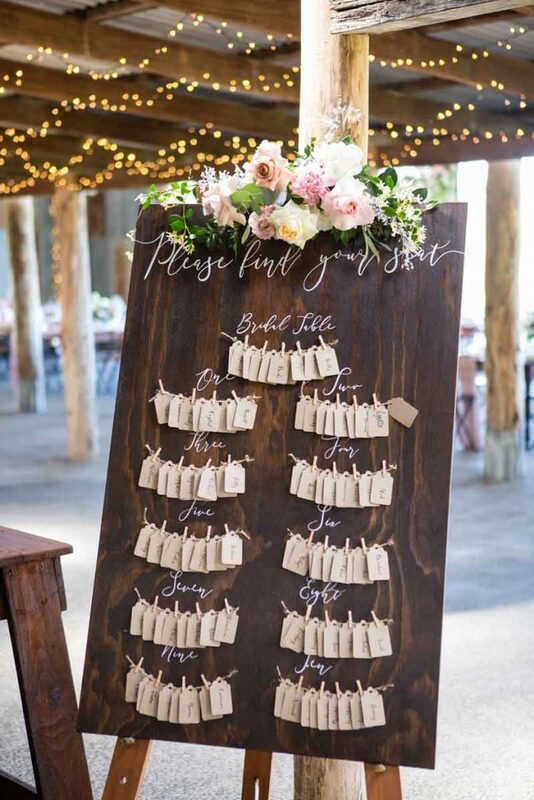 At the start of the aisle, we adorned two chairs with the same floral elements as the bouquets to add a touch of romantic styling. 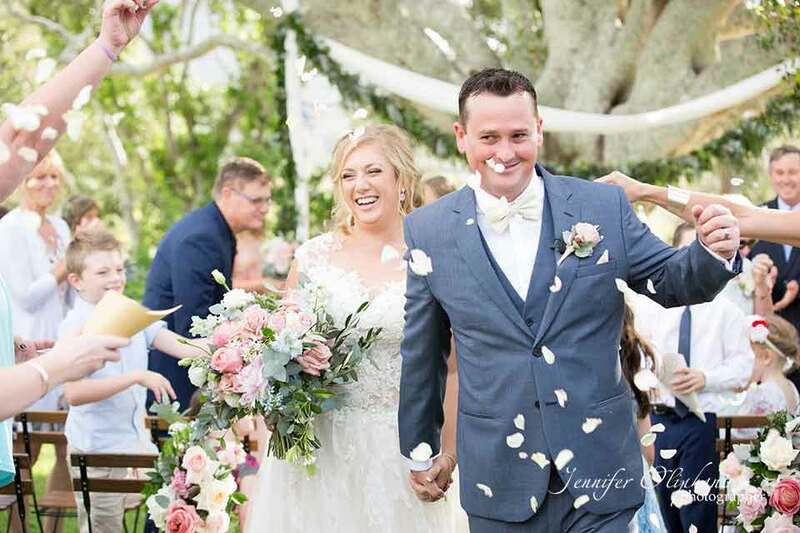 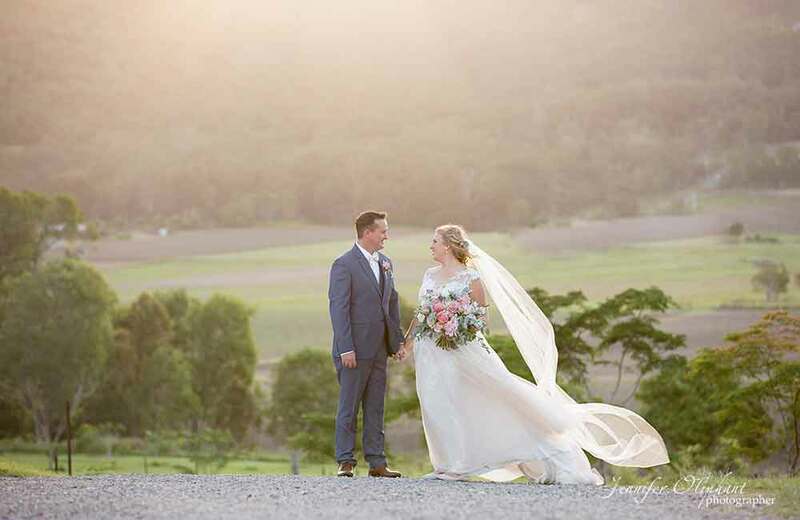 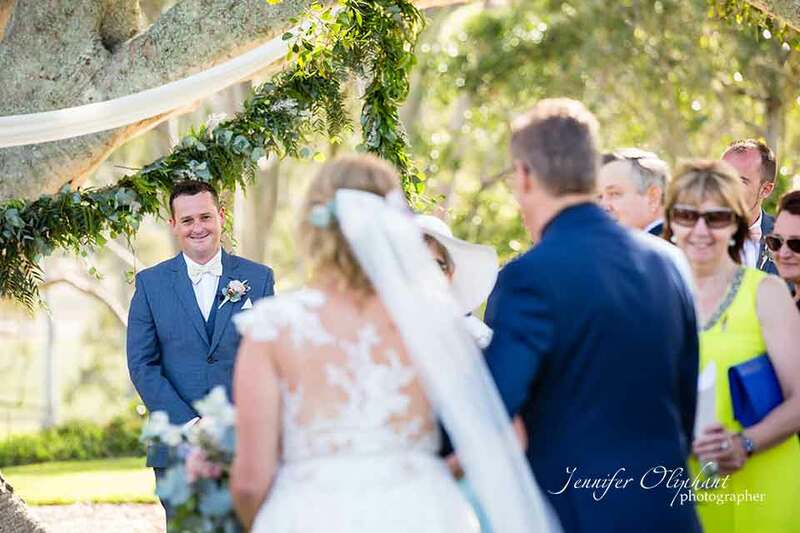 Sunshine Coast’s best, Jennifer Oliphant captured Jess and Clinton’s wedding day so perfectly capturing every emotion, moment, detail all with the perfect dreamy light- seriously everything that this woman does is incredible! 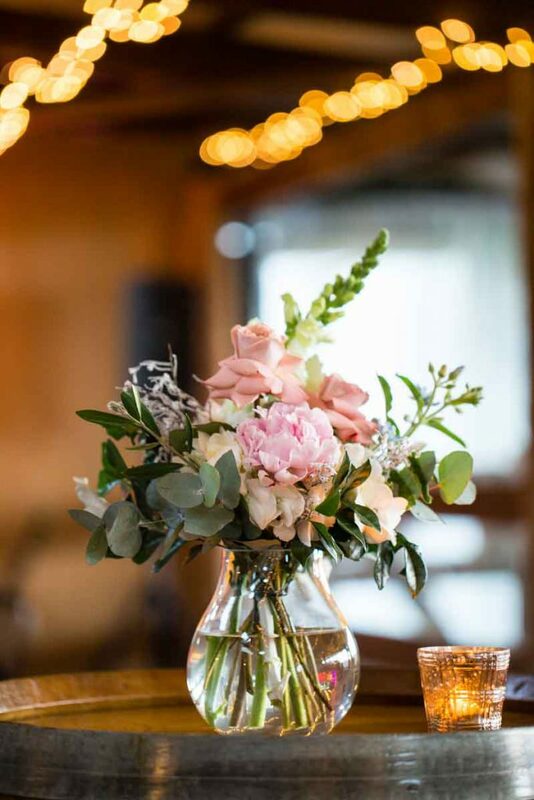 No detail was missed, we added floral styling to the cake, signs, hairstyles and the cocktail lounge too! 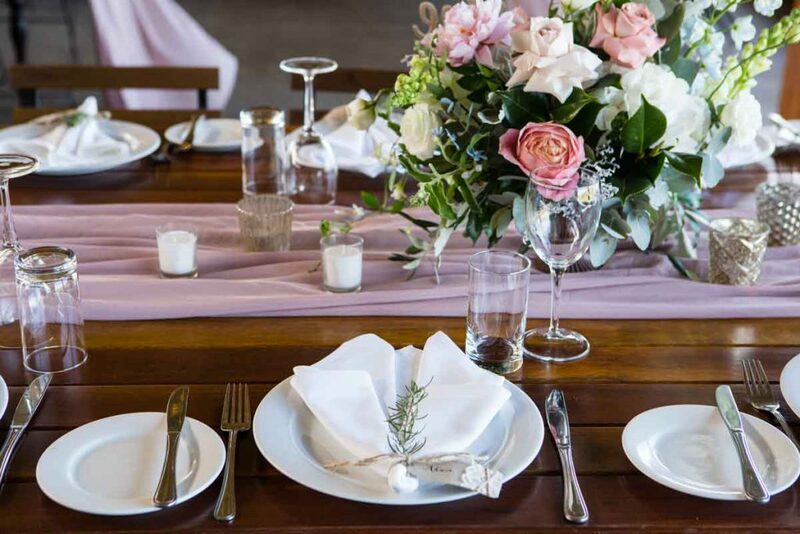 The guest tables had draped blush runners flowing down the tables (with thanks to Simply Style Co), our mixed vintage tea light candle votives scattered down the tables to create warmth and texture. 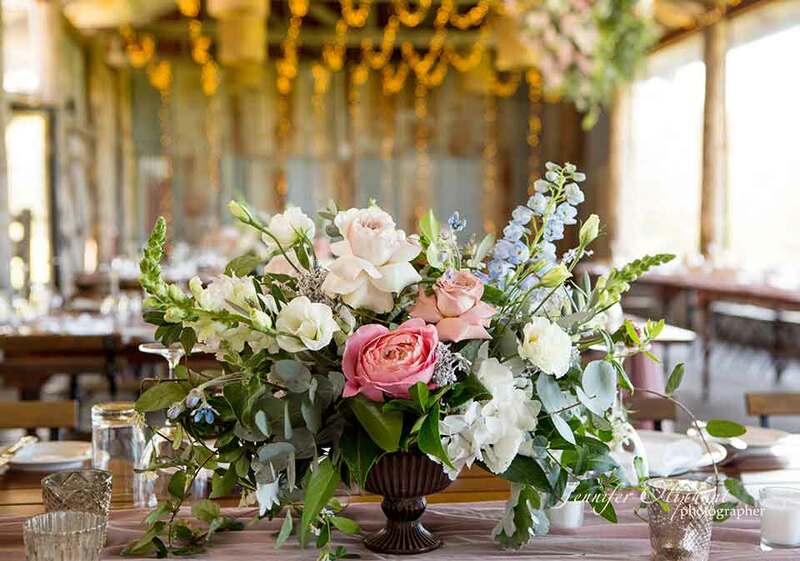 Our bronzed chalice bowls were lavishly filled with the most romantic spring blooms with the addition of wild jasmine for added fragrance. 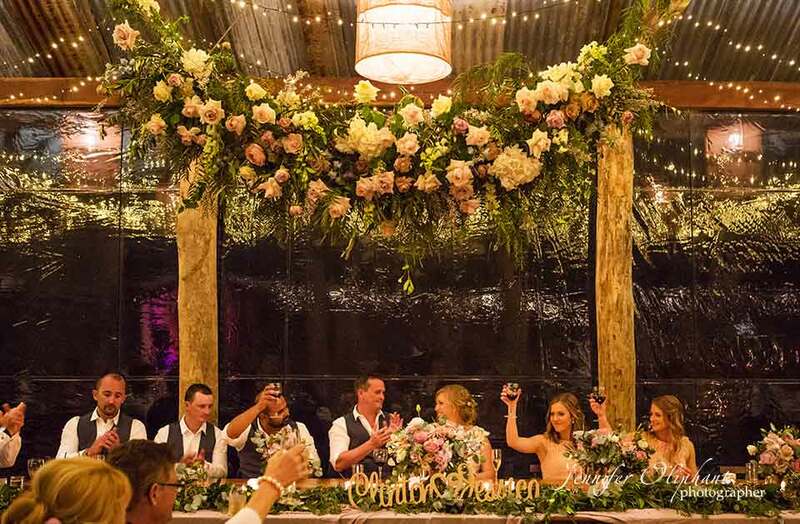 We created a foam-free (very environmentally friendly) hanging installation with a mass of cascading blooms and locally grown foliage which was centred in the space over the bridal table. 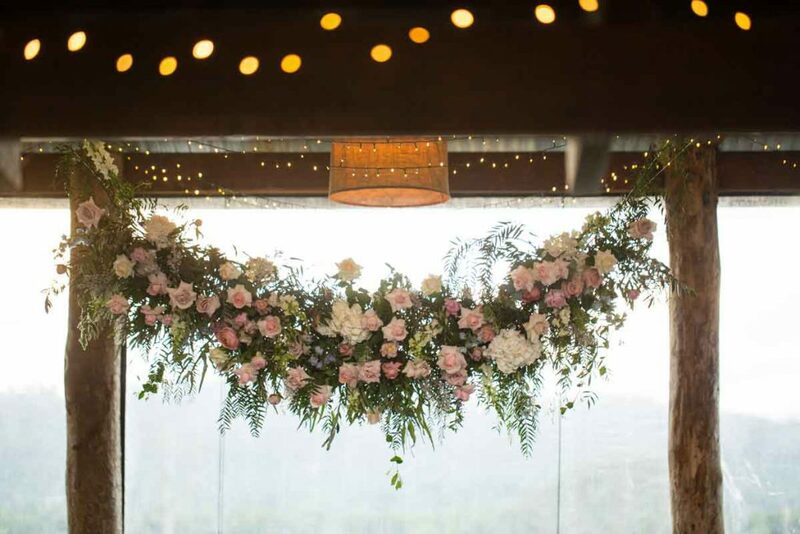 The mix of fairy lights, flowers, family and love made for the perfect evening. 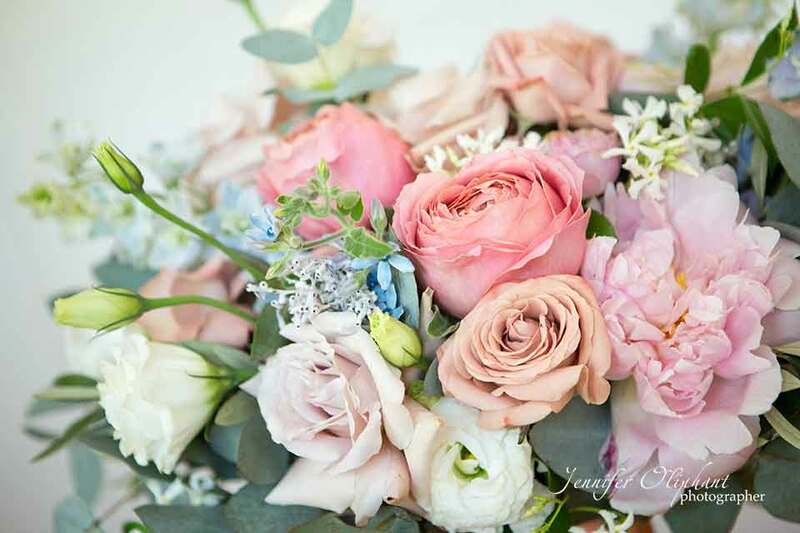 Photography by: Jennifer Oliphant Photographer.